Writing is a difficult skill and, as most of us would readily agree, not only for children. The development of children’s writing takes place gradually over time. In order to achieve the most effective results, teaching writing needs to be integrated with reading, speaking and listening, both in the initial stages and as children develop greater language competence. Getting ready: Children acquire manual skills and learn the basic mechanisms of handwriting and spelling. They may also be taught synthetic phonics as part of a systematic initiation into reading and writing. Writing for me: Writing is personal, colloquial, situational, linear and context-bound. Children may be willing to alter spelling but not to revise, re-draft or edit their work. Writing is mainly for personal pleasure and for an immediate audience e.g. parents and teachers. Writing for others: Children develop a greater sense of audience. This raises awareness that successful writing depends on effective communication rather than satisfaction with self. Structures of writing and speech become more distinct; writing begins to be better organized and to become more formal. Children’s writing e.g. early attempts at stories, begins to reflect what they are reading. A world of writing: Children are exposed to, and learn to use, an ever-expanding range of writing styles. They develop an increasing awareness of audience, purpose, genre and appropriateness. In the early stages, the development of hand-eye coordination and fine motor skills needed to form letters is a challenge in itself. Writing is an artificial activity: it has to be learned rather than acquired naturally. There is no immediate audience, feedback or interaction between the writer and the reader. School associations with writing are often negative. Writing is often perceived as boring or a chore. Writing is also sometimes used by teachers for discipline and control. Children’s limited ability to produce comprehensible output can easily lead to feelings of frustration and demotivation. Children’s L1 writing system may be different to English. The sound-spelling correspondences in L1 work differently to English. Language used in speech and writing differs, and is organized differently. Children lack knowledge of writing conventions, or there is interference from writing conventions in L1 which are different. Children’s stage of development in L1, including the development of literacy. The organization of thoughts in writing is externally imposed. The transfer of strategies from L1 doesn’t always work. The potential ability of a child to become a “good writer” and for a teacher to become a “good teacher of writing” are essentially two sides of the same coin. sets and expects appropriately high standards (children will invariably try to meet these). •	Initial writing – writing to support initial learning and to consolidate oral work. This is often the typical kind of writing included in the Activity Books of coursebooks. The most effective kind of initial writing is when children are also encouraged to think and develop cognitive skills as in, for example, simple classifying, sequencing, logical deduction or visual observation writing activities. •	Collaborative writing – a dynamic process in which children’s ideas are shaped through working with others. The final product may be a joint effort or individual work but structured collaboration will play a central, formative role. Collaborative writing allows you, as teacher, to participate and explicitly model writing processes. It also helps you to meet the needs of everyone in the group. Collaborative writing can be motivating for children and standards of writing often improve rapidly as a result. •	Functional writing – writing that serves a practical function such as e-mail or letter writing, report writing, invitations etc.. Children need to be taught how to write functionally in an appropriately contextualized way. As well as explicitly teaching appropriate conventions to be used, it is also important to highlight the reason for these and the way they relate to the reader’s needs. •	Imaginative writing – writing which takes children beyond real experiences into a world of invention. The key here is to provide a model, framework or template which gives free rein to children’s imagination but is also within their current linguistic reach. •	Personal writing – writing in which children record their experiences, express their opinions, attitudes and feelings. Children need a stimulus to encourage a personal response as well as a framework to help them to organize their thoughts. With young children in particular, you also need to make it clear that there are no right answers and that you value diversity in the way they respond. •	Poetry – writing which gives children the opportunity to explore the power of words and to play with the rhythms and patterns of language. Children need a stimulus, model or framework to support their writing. 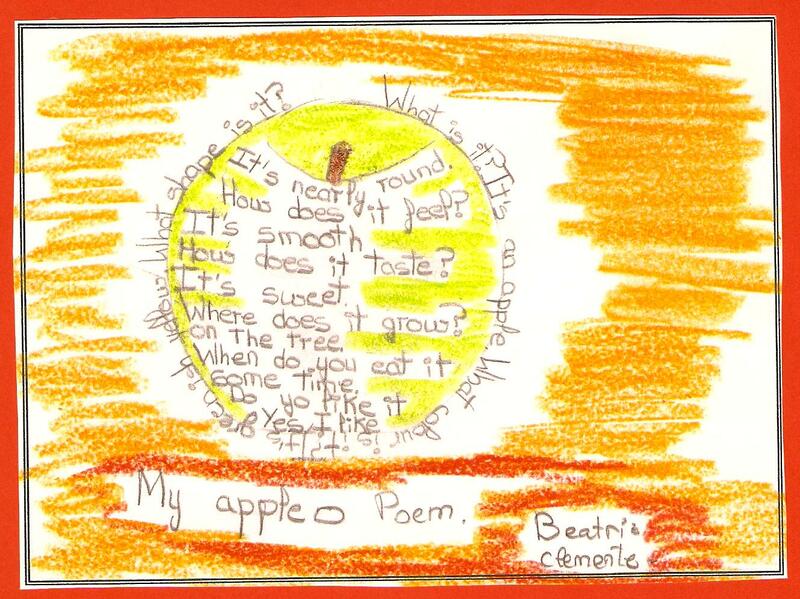 It often works well to create a poem collaboratively with the whole class first before children work on their own poems individually, or in pairs or groups. Any other thoughts on developing children’s writing? It’d be interesting to hear. Note: This post is an extension of the introduction to the section on ‘Reading and Writing’ in Read C. 500 Activities for the Primary Classroom Macmillan Education, 2007, where you can also find a range of practical classroom activities to develop different areas of children’s writing. Thanks for this wonderful overview of the challenges faced when doing writing with kids. For me, the biggest issue with the ten year-olds I work with is getting them to revisit and revise their work. Collaborative writing has been a big help in this regard as they tend to prompt each other to review the work. Telling them the work will form some kind of display, whether in class or elsewhere in the school also helps as they are keen to then produce the best piece they can. Feedback is also important – I like to give my comments in the form of questions to get them thinking about the content of thier work more. Hi Dave, many thanks for your message and lovely comment about the post. I’m glad it resonated with you. I agree that it’s often hard to get 10-year-olds to revisit and revise their work. They often don’t see the point, feel that the work is done and want to move on to something else. But I think you’ve also hit on the solution, and that is giving children a clear reason that they can relate to for revisiting and revising their work, such as it’s going to be published for a real audience. Many thanks also for your point about giving feedback in the form of questions – this is so important in getting children to think about and discover things about their own work, rather than being told by the teacher which may be like water off a duck’s back and not lead to any real change or improvement. Thanks again for writing – and hope your colleagues enjoy the post too! I agree with Dave, you’ve summarised the main factors in teaching writing to YLs so well. Thank you. Hi Leahn, great to see you back here and many thanks for your positive comment which is good to hear. Think there are digital tools now (Storybird, for example) that possibly make writing more fun, and certainly easier to share, and perhaps thus make it more fun, and less of a chore. Even things like Word and PowerPoint make the business of drafting and redrafting far less painless. But, apart from that, I don’t think technology really alters fundamentally what you’re saying “good teachers of writing” still need to do. (Can I ask a question? What are you going to do Carol when you get to Z? Hope you’re not going to stop, as this is a great blog :-)! Many thanks for writing and for pointing out the digital tools and software that we have available to make the drafting process less painful and more fun. Although they don’t fundamentally alter what we need to do as teachers, as you say, they are more motivating for young learners and make writing feel more exciting and less like hard work. Re your question – I’m honestly not sure at the moment. It’s all a question of time, or rather lack of it. But many thanks for your positive comment which is very encouraging to hear. Sorry, by the way, that I haven’t published or replied to your comment till now – for some reason it was lurking in the WordPress spam filter and I’ve only just found it now. I particularly liked your key characteristics of a “good teacher of writing”. It is so easy for teachers to (unwittingly) make writing into a boring activity that children despise. Having some key points to bear in mind when setting writing activities is really useful. Many thanks for writing and for this observation. I agree with you that it is all too easy for teachers to unwittingly turn writing into a boring activity and I’m very glad you found the points useful. The thing that I find more difficult is getting children to use the structures they already know without giving them a model to copy. They are used to write in English following a closed model and they don´t create anything, what I try to do is giving them situations in which they can produce the structures they have acquired, but unless you guide them they think they can´t do it. But I think that this is part of the learning process and we should give them opportunities to realize that they are able to produce because they have the tools acquired. Many thanks for giving us topics to think and write. Thanks for this great article on writing. This also to observe that you have utterly ignored the Reading skill that literature considers -in a way- as a stepping stone to acquire writing (good writing as it is!). Isn’t Reading (especially reading for pleasure) that stepping stone ? our blog is just wonderful ! Many thanks for your contribution and observation about key omission of reading skills in the post – great that you have pointed it out. I completely agree with you about the importance of reading, and reading for pleasure in particular, as a major influence on learning how to become a good writer. I do say at the beginning of the post that writing needs to be integrated with reading, speaking and listening, and I think a similar case could be made for the importance of developing oracy as a key factor in becoming a good writer too. For example, children who start primary school without having had the advantage of listening to stories and developing oral skills with parents and/or carers at home find it much more challenging to develop literacy skills. Glad you like the blog and many thanks again for your valuable comment.